February 1, 2016 — Join us for a summer filled with horses, fun on the farm, and making new friends. Our Summer Camp, sponsored by The Reinberger Foundation, is designed to help our campers discover their best selves in week-long camps starting June 6 and running through August 12. 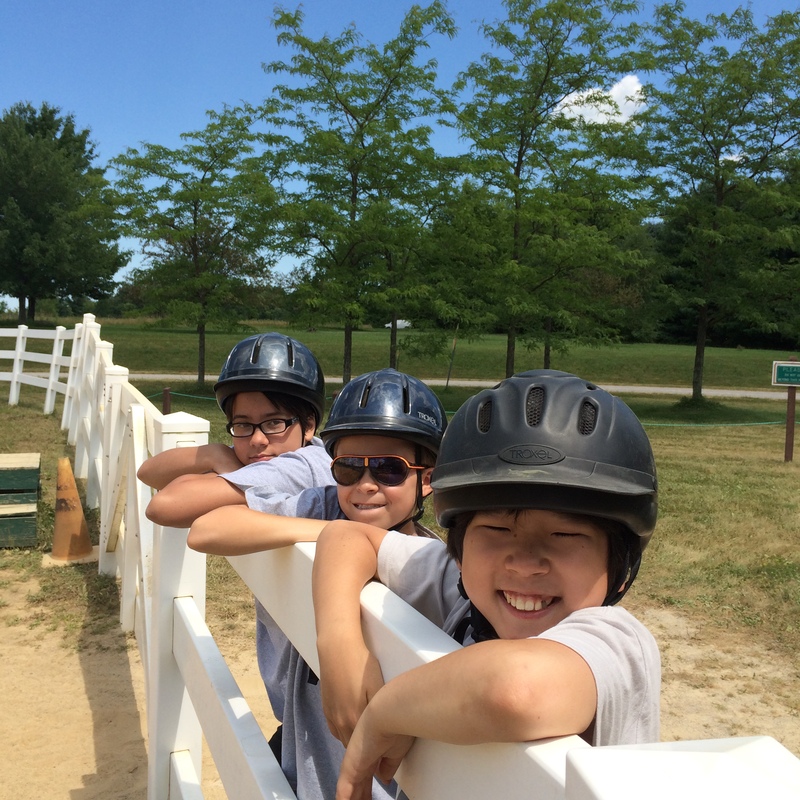 Each day campers will ride our horses as well as explore our 45-acre farm just outside of Chagrin Falls. Picasso’s Ponies — The best of two worlds — art and horses! Campers will ride and explore their drawing and painting skills, creating their own masterpieces. We will even paint on our very special therapy horses. What’s Up Doc? – This session is designed for your budding veterinarian. Campers will learn about horse care including how to take a horse’s temperature, weigh a horse, attend to minor injuries and more. Ride Around – Learn about the different styles of riding and how horses are trained for Western, dressage, carriage driving, jumping and more. Enjoy demonstrations by local equestrians and learn English riding and driving firsthand. Click here for our Summer Camp brochure. And click here for registration information. Or call Winni at 440.708.0013 x146.